It's not often the specs for a new office include the need for "dog-friendly space", but then, not every company gets to bring their dogs to work. 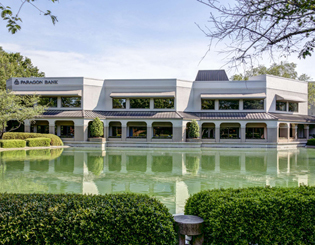 When Tyler 2 made the commitment to expand the business, it meant relocating from their home on South Boulevard where the firm was housed for over 16 years. 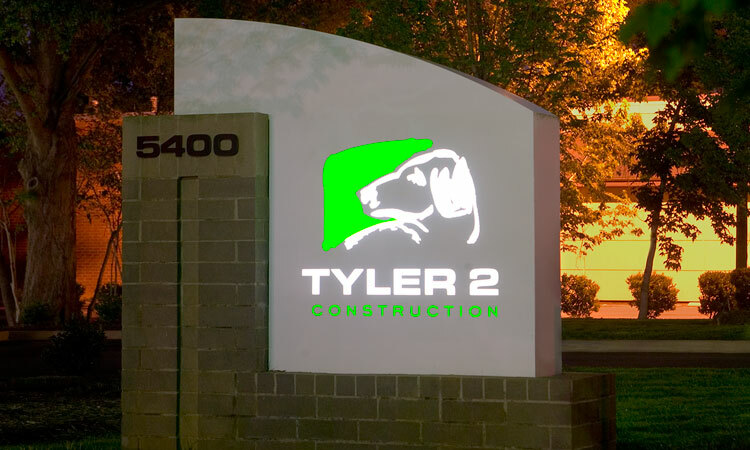 The vision for the new headquarters was just as innovative as the work the Tyler 2 team does for their clients. 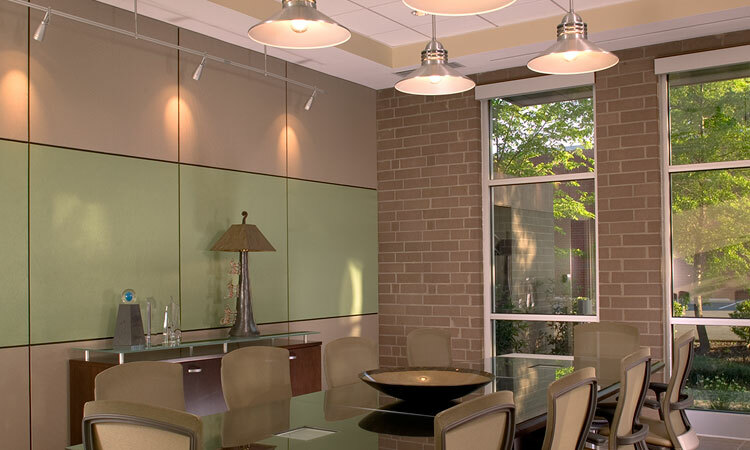 The design criteria included requests for a bright, welcoming environment, room for expansion, and an open office plan. The narrow, sloping lot on South Blvd's light rail line was home to 100-year old trees which required protection and incorporation in the construction plans. The planned 9,000 sf building needed lots of work space, but also plenty of natural light. 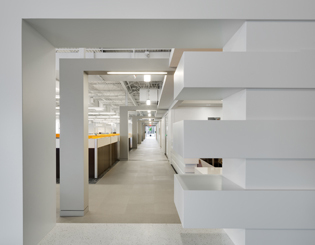 The team wanted a contemporary, functional, and fun space, to match the group who would soon be working there. The twenty-six foot high barrel metal roof system with clearstory lites would have been compromised with exposed ductwork, so the design team worked closely with the mechanical subcontractor to design an open plan HVAC system with no exposed ductwork. 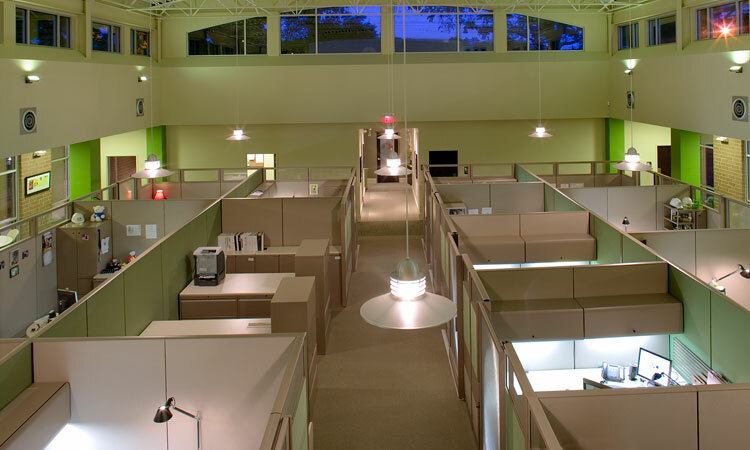 Industrial design turbo diffusers provide adequate air flow and enhanced design appeal. 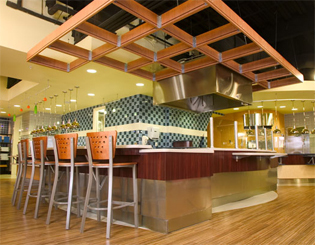 The innovative design of the building exterior and interior space brought together a variety of materials in a fresh and creative way (sounds a little like how the Tyler 2 team does business everyday). 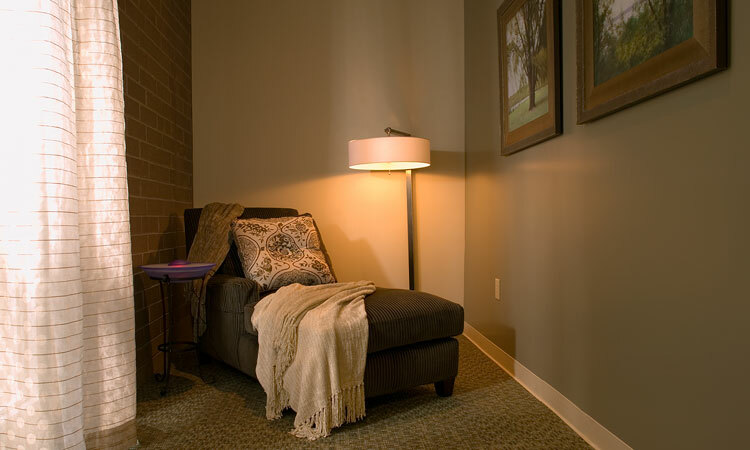 Combining “old school” materials, such as interior brick walls, with contemporary corrugated metal walls gives a unique look and feel. 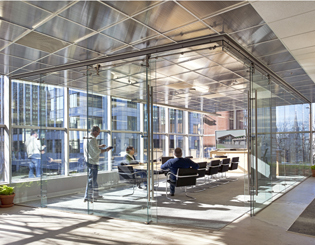 Lighting, natural and artificial, is a key component of the architectural detail, and soffits hide all ductwork, allowing for clear views from the windows and clearstory lites. This open, warm, efficient space feels like home. You should see our dogs' tails wag over their new home.